Being an avid sailor since childhood in a family of sailors on the East Coast, this Pleasant Hill resident longed for the seaside tranquility she left behind. 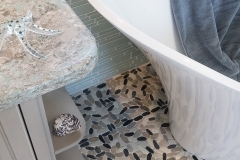 Emily requested a Master Bath sanctuary that recreated the ocean atmosphere that nurtures her soul. 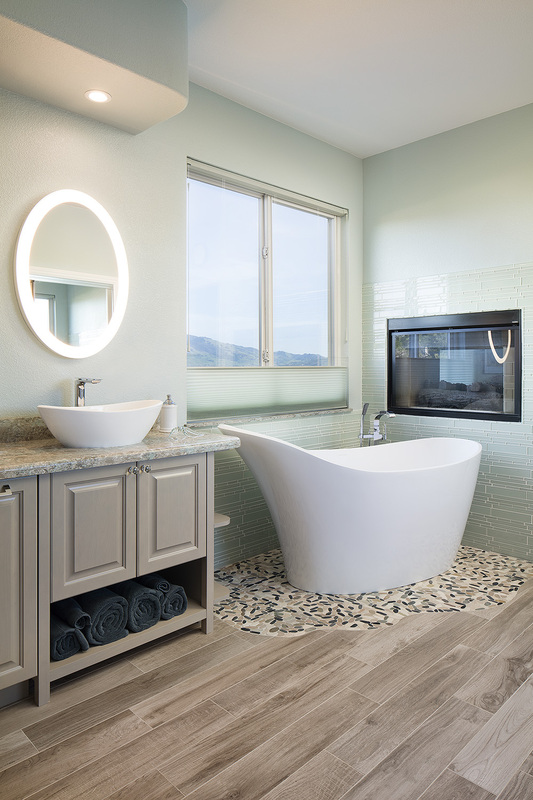 A sculptural free-standing soaking tub is strategically located to enjoy the view of the distant landscape and the in-wall fireplace recollects campfires on the beach. 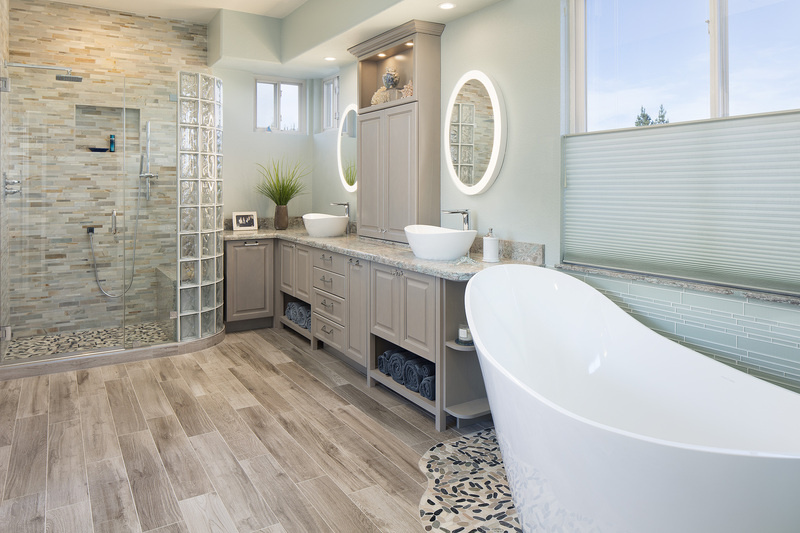 Coordinating countertop vessel sinks accent the beautiful weathered grey cabinetry custom-designed to house plugged-in hair tools and laundry bin. 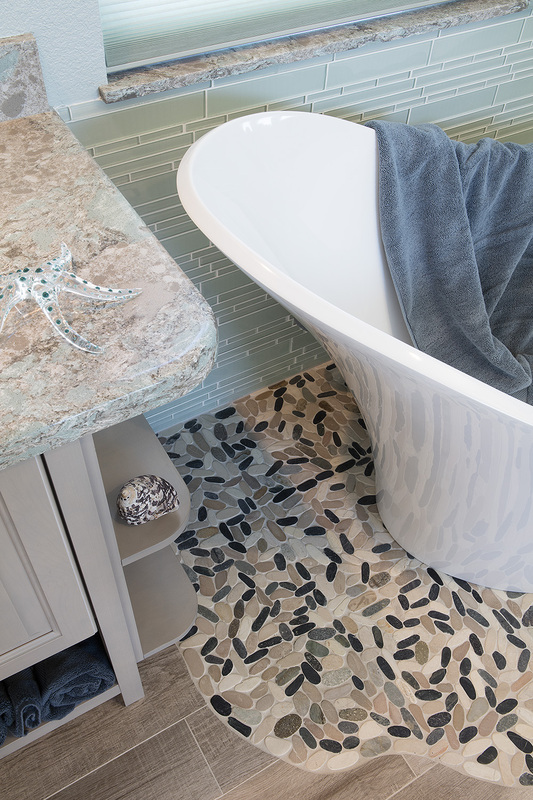 Nature-inspired Cambria “Kelvingrove” Quartz countertops are paired with porcelain, glass and natural stone tile on floors and walls to mimic beach glass, weathered wood, riverbed rocks and stone walls. Curved glass block enclosure allows natural light to enter the showering experience.